You have fallen in love and finally met your perfect match. You start noticing engagement rings all around you; on the hands of friends and family, on Facebook, on Instagram, engagement rings are everywhere! And you start to imagine your perfect ring. Perhaps you have known for years what style you wanted, or maybe you have just started collecting images but haven’t narrowed it down. Either way most people have an idea of what they love and what they don’t really like when it comes to ring designs. But how do you get those ideas into your partner’s head, so that they will know what to look for when the time is right to propose? We are here to offer some suggestions. Let your best friends or siblings know what kind of ring you would like. Give them pictures or at least an idea of what you want. It’s very likely that your partner will look to them for advice on the design, and you want them to have the right information. 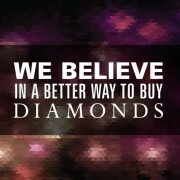 Next time you and your love go shopping together, tell them you want to take a look at the diamond rings. Go into a couple of jewellery stores and point out or try on ones that you really like. One of my friends did this, and about a year later she received the very ring she had tried on in the store. Bonus points for your partner for remembering the ring you loved. If you keep a Pinterest board of engagement rings you love (which let’s be serious, A LOT of us do) then you can mention this to your partner. If you think your partner will never go on your Pinterest page, then you can accidentally leave the page open on the computer so they see it the next time they log on. It might be a little bit sneaky but it will definitely help your partner figure out what kind of rings you are into. Another idea is to comment (in private) on rings that your friends have. Let your partner know that you absolutely love Ashley’s rose gold ring with the diamond halo while you really don’t like Melanie’s yellow gold ring with the three diamonds. If your partner is paying attention they will make a mental note of these comments, and hopefully purchase something you will like. If you have been with your partner for many years and are certain an engagement is coming your way, you may feel comfortable being straightforward about what you want. Send them an exact image of a ring or a couple of rings that you like. Let them know what metal type and diamond shape or other gemstones you would like for your ring. 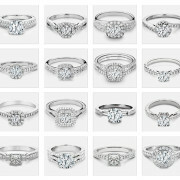 There are a lot of couples who chose to pick out or design a custom ring together. 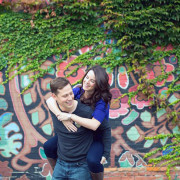 Sometimes the couple has gotten engaged without a ring and is looking to make the perfect one. Sometimes the couple decides on the engagement ring, and then the one partner buys it and holds onto it for a surprise proposal. There are no rules these days. You can do whatever feels right for you as a couple. Surprise! Do you like it? Now, sometimes the proposal is a complete surprise and you didn’t get a chance to let your partner know what you wanted in a ring. Hopefully the ring is stunning and fabulous and you love everything about it. Maybe it’s not the exact design you would have picked, but you love it because of the thought and love that went into it. If you really don’t like it, you always have the option of telling your partner that it’s not quite what you wanted, and they might be ok with changing the setting or diamond. However, I would say be very gentle if you are going to do this, as I’m sure a lot of thought, time and money went into the ring. In the end the most important thing about the ring is that is it a symbol of your commitment and it should reflect the love you and your partner will share for a lifetime.